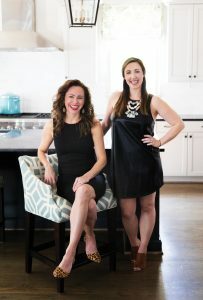 Interior designers Lathem Gordon (left) and Cate Dunning formed their partnership, GordonDunning, four years ago. 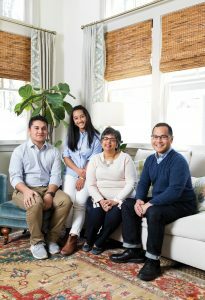 Coming from smaller towns, physicians Sharon Castellino and Renato Santos weren’t sure they wanted to live in a big city, until jobs with Emory School of Medicine brought them to Atlanta. Fortunately, their quiet neighborhood, equidistant from the university, Druid Hills, and Decatur, gives them the walkability of intown life with plenty of greenspace and trees. “We love that it’s accessible to so many things, but once you get off Atlanta roads, it doesn’t feel like the city at all,” says Sharon. They found a new Craftsman-style house tucked on a street with older versions and loved the porches and potential for a garden. What were the main challenges in creating the perfect home for this family of four? Lathem: Sharon and Renato brought with them a ton of artwork, life experience, travels, education, and a family culture of togetherness and joy. Our challenge was to ensure that the rich history and culture they had was represented and highlighted throughout their home. Cate: The family room was particularly a challenge. The ceilings are gloriously high, but the family wanted it to feel a little more cozy. We opted for woven wood shades and patterned drapes hung at the head height of the first set of windows. 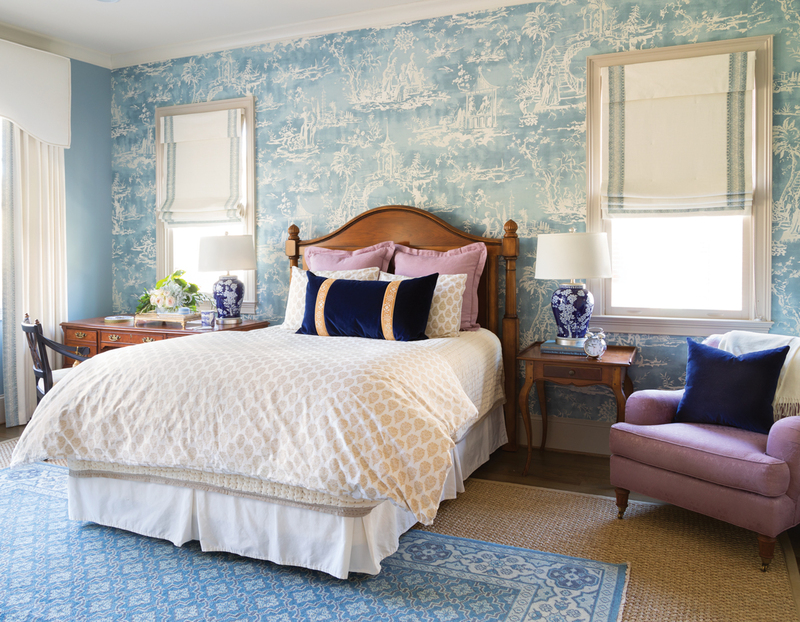 The drapes are made of an incredible fabric by Bunny Williams. With such high ceilings in the kitchen, too, we had to work to warm up that space and add several layers. We adore these upholstered counter stools, and they all use them every day. From morning coffee to answering emails from home, they are a comfortable perch. In the music room, a silvered treatment on the ceiling gives the whole space a magical glow. The family wanted a house that allowed them to spend time together. 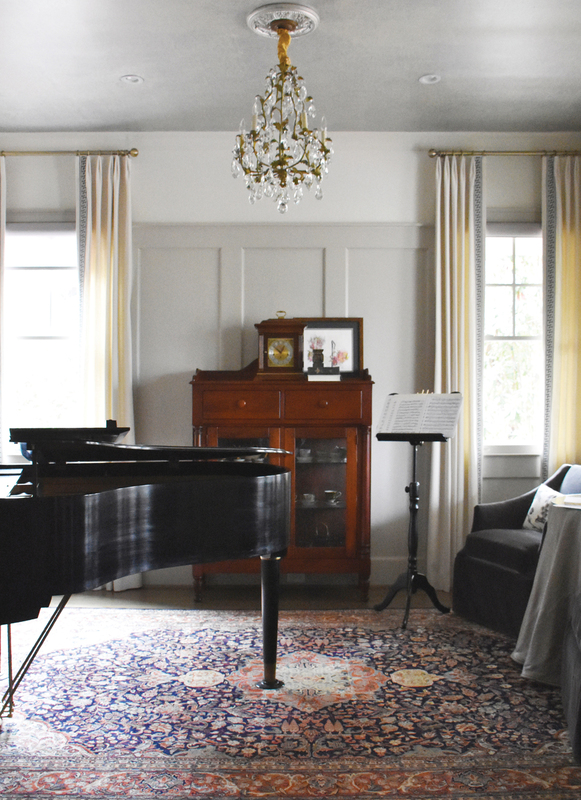 How did you create spaces for them to enjoy each other—particularly, the music room? Cate: This family is seriously musical. This is not just a piano lesson once a week kind of thing. Classical music fills the home consistently. From violin to guitar to piano, the walls are constantly filled with melody. 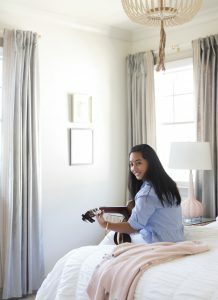 Lathem: When you are performing—or practicing—classical music, it seems fitting that there is a bit of formality to the room, but we wanted it to blend with the rest of the home. We stuck to a lot of black and white to keep everything current. A few favorite things: the graphic element of the Greek key on the draperies to complement the piano, and the black and white toile fabric on the pillows helped to “Southernize” the space a bit, too. 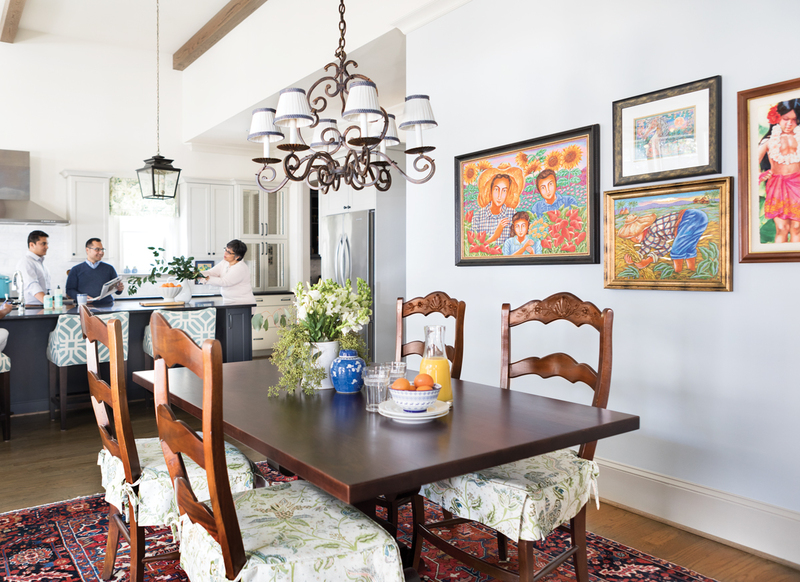 The family’s art collection provides a focal point. “We have rich colors in the paintings and art we’ve acquired along our 25 years together—no famous artists but just things that make us smile and remind us of some of the places we have visited,” says Sharon. How did you incorporate existing furniture and art in a way that was fresh, and what did you add? Lathem: When we assessed existing pieces, we knew we had to include almost all of their case goods. There was a stunning Indian side table, dining chairs that held special meaning and patina, a beautiful antique desk, and more. There was never a question about including the artwork. Each piece was so beautiful, meaningful, and storied. One of our favorite pieces was given as payment to Renato’s father from a patient, and it hangs over the mantle. There are several amazing paintings by one of Renato’s cousins, who was a highly praised and sought-after artist in the Philippines, and there are some beautiful works by Sharon as well as her mother. We added almost all new upholstery, which helped freshen and unify the collected pieces they had, and we spread out many of their existing furniture pieces throughout to create a layered look.